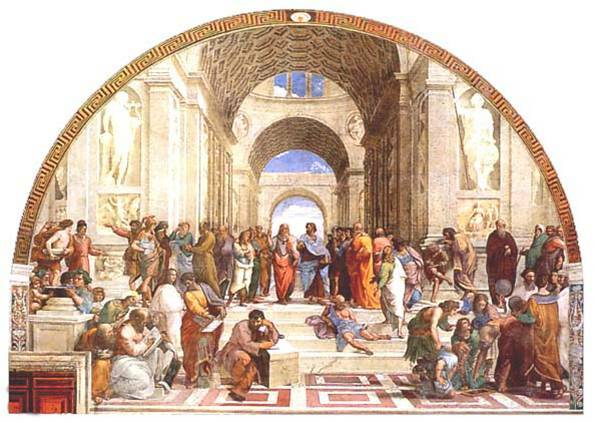 This painting by Raphael was long used as the logo of the Praxeme Institute. It was chosen, of course, for the reference to Ancient Greece and because it evokes the patronage of some of the most brilliant minds of humanity. But we can also find in it a magnificent symbol of the methodology. on the other hand, it continually seeks the confrontation between the facts and what happens in practice (the action).